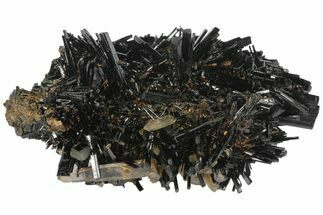 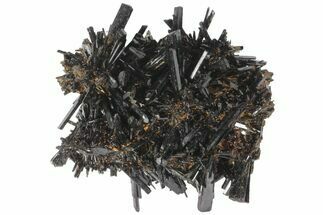 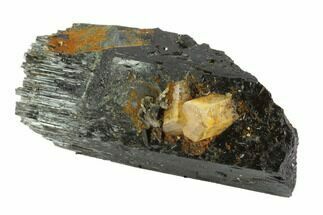 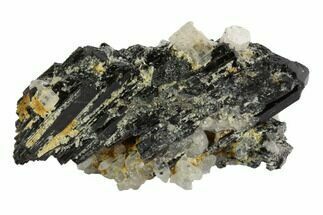 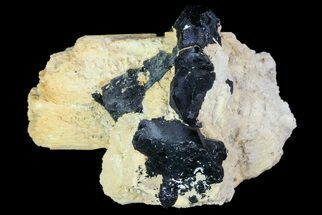 Here is an association of fluorite, black tourmaline (schorl) and mica, collected from the Erongo Mountains in Namibia. 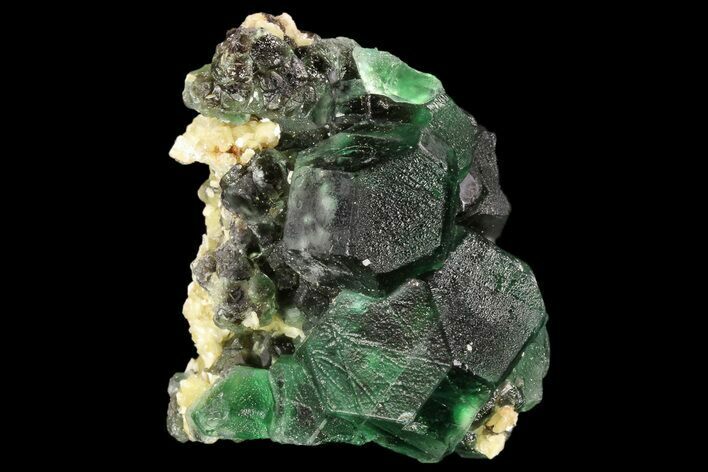 The deep green fluorite formed over the black tourmaline crystals. 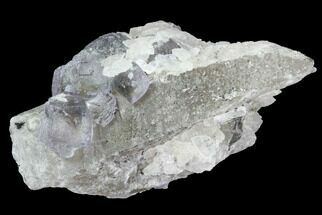 The fluorite fluoresces a white-purple color under UV lighting.